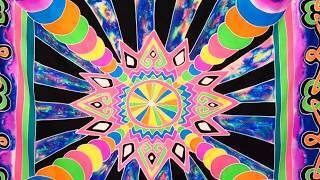 1 March - 1 November. This superb family run park has a number of attributes to make your stay both comfortable and memorable. There are stunning views over Carmarthen Bay to the Gower and beyond to the coast of Somerset and North Devon. At night no fewer than seven lighthouses can be seen blinking out their warnings. A touring field provides 55 well spaced, large touring pitches all with 16A electricity, 21 with gravel hardstanding and most fully serviced. An new attractive playground is in the central open grass area. There are 60 pitches for tents in an adjoining paddock with 31 electricity hook-ups (10A). 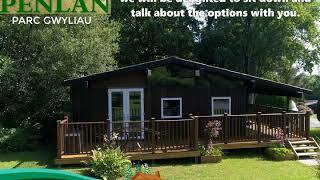 A separate well hedged and screened paddock contains 20 caravan holiday homes (14 for hire) and a holiday bungalow. The excellent amenities include a tavern, which has a conservatory overlooking a well presented, covered, heated swimming pool. The restaurant serves a good range of evening meals and has a children’s menu. Last, but by no means least, is the comprehensively stocked shop which has just about everything you might need, including reception, tourist information and a bakery offering fresh bread daily and hot snacks (savoury pastries, etc) cooked to order. This is an ideal site for a family holiday or for touring the area. The two toilet blocks are modern and well equipped, including controllable hot showers, open style washbasins, a family shower room and a full suite for disabled visitors. Laundry rooms. Gas supplies. Shop with bakery. Tavern with conservatory (from 27/3). Covered, heated swimming pool. Games rooms. Playground. Area for ball games. Free WiFi around pool and tavern. Site is 5 miles southeast of Narberth. From A477 Carmarthen to Pembroke road, 2 miles after Llanteg at petrol station, turn left towards Amroth, Wiseman’s Bridge, Ludchurch. After 1 mile, at crossroads, turn right (signed Ludchurch, Narberth) and park is 800 yds. 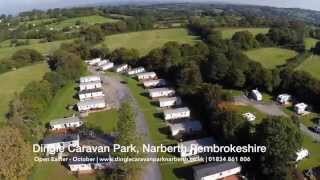 Dingle Caravan Park, Narberth, Pembrokeshire. 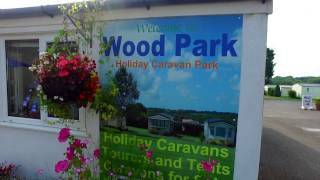 Wood Park Caravan Park, Tenby, Pembrokeshire.